Pride weekend has finally arrived in my city and I couldn’t be more excited. Why is it in July, you might ask. I once asked the President of our local Gay Alliance that same question, and he made a good point: we’re close to some pretty major cities with legendary Pride celebrations. Rather than competing with them, we’ll just wait and celebrate later. It’s fine I guess, but I’d like to have Pride during Pride month. My #wifeforlife is landing in approximately 25 minutes and I’m so over the top excited. We have a bunch of plans and we’ll be running around in matching outfits because we’re extra. It’s rainbows everywhere this weekend. 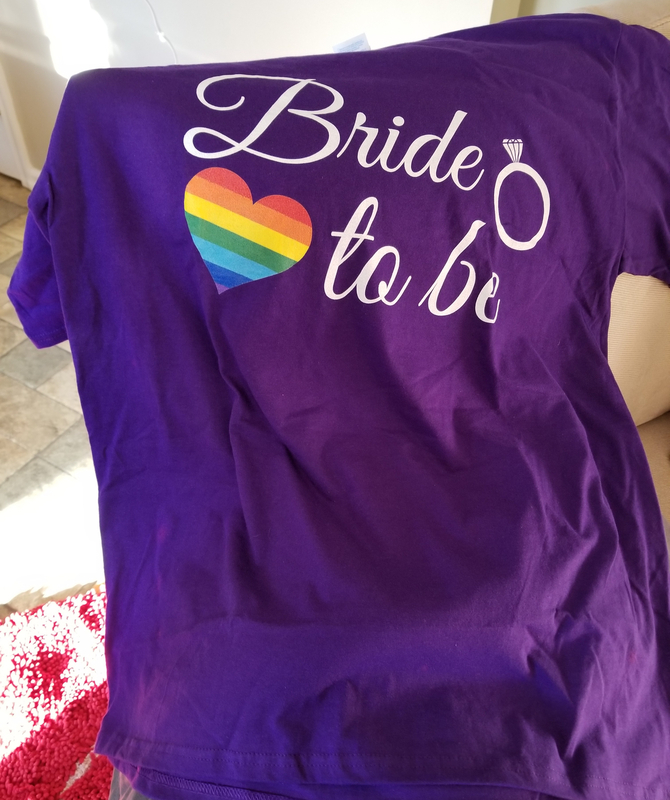 I love how much LGBT wedding stuff you can find on Amazon. 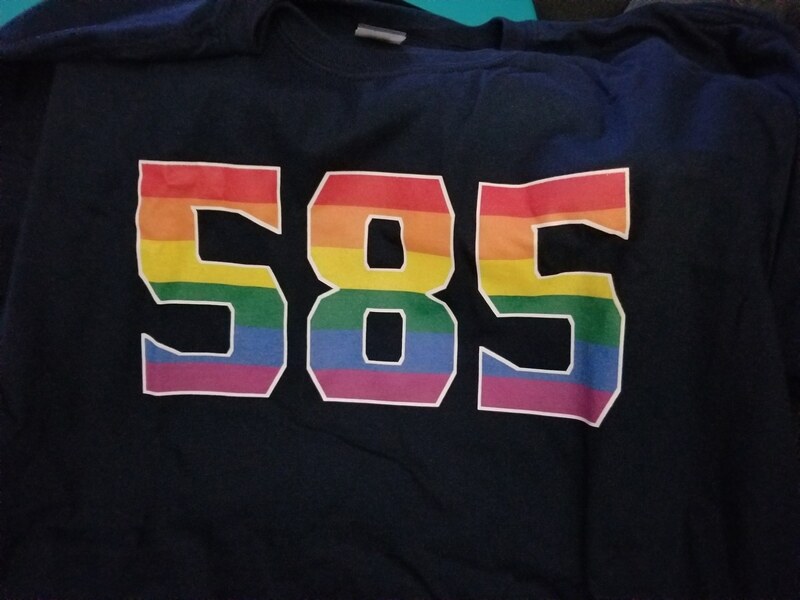 Gay Pride and Roc pride! We’re also going to attempt to be a little bit productive for Sarah’s upcoming (meaning nine months from now) wedding. Really I’ll be happy if we just hang out at my mom’s (since I’m housesitting for a few weeks), petting the dog and watching terrible crime shows. Who wouldn’t want to hang out with this handsome boy all weekend? Only 10 more minutes until she lands!